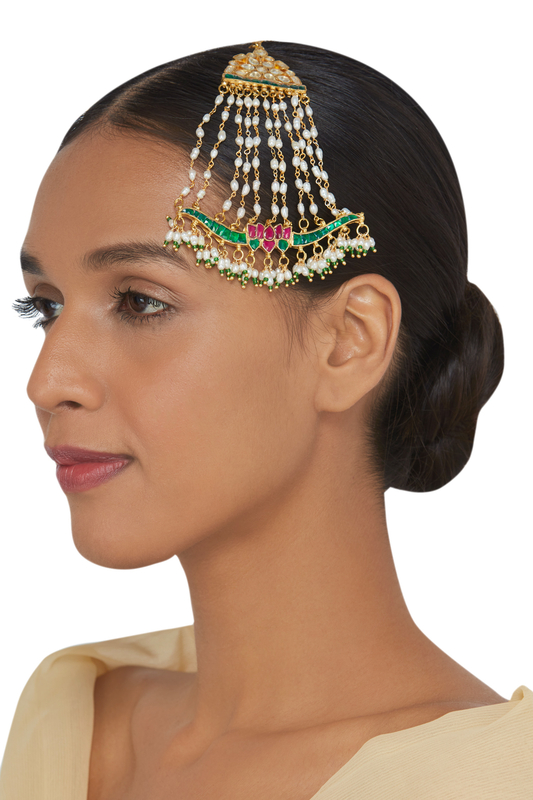 Kundan jadau passa designed by Maisara at AASHNI+CO. 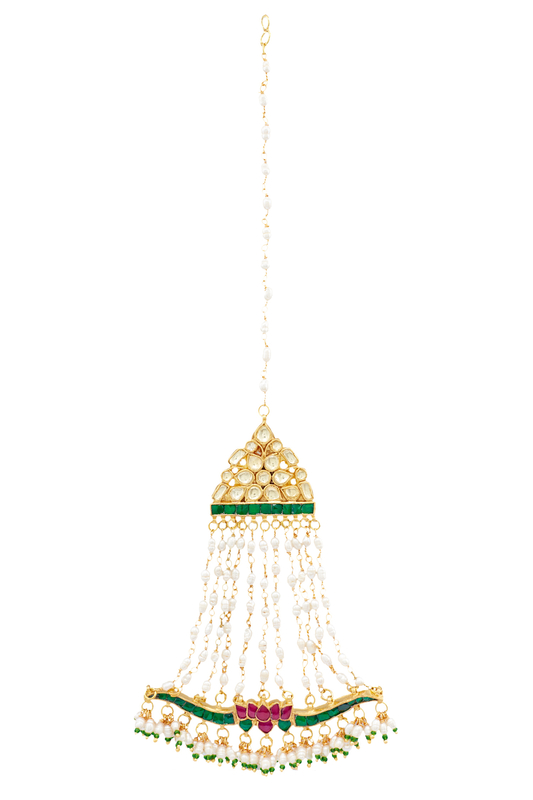 Maisara designs a masterpiece inspired from the regal era with kundan jadau embellishments and intricate strings of pearls. Wear it with your anarkali lehenga ensemble for a princess like appeal.